[Discuss] Why are you using constraints? Constraints are annoying for me, because it takes too much time to add and also too much time to maintain. It drives me crazy when the whole system gets over-constrained after some components change or some constraints are not properly set. Constraints also make Regen slow, make the file bigger, make assembly pattern unstable. So I don't add constraints unless there must be some of them. 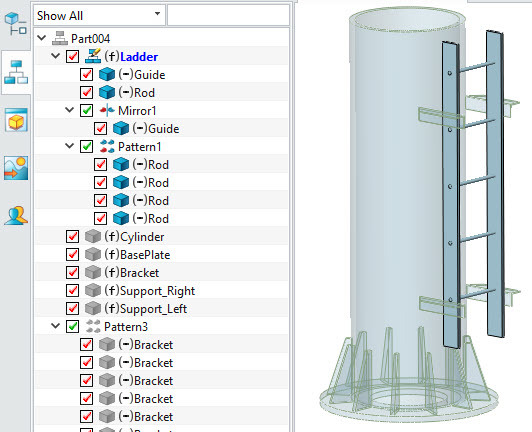 In my opinion, constraints are only useful when you need to set assembly configs or to make the assembly to be movable. Take a look at the below example. It is a steel structure which has no need to move. 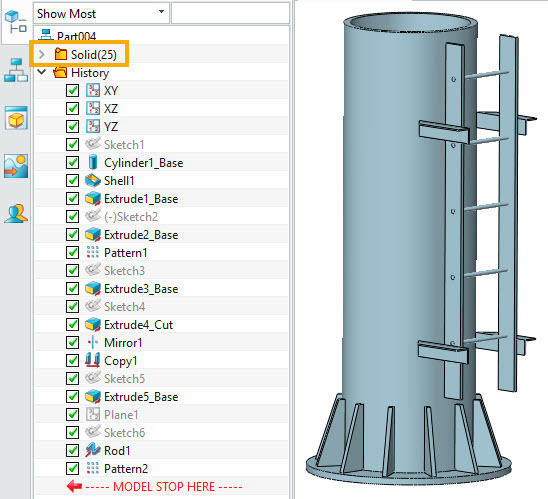 How to build the model? This is my way to make it. 1) Create all the geometry as shapes. 2) Ladder is supposed to be bought from suppliers. Extract it first. 3) Edit all the names and material with 3D BOM. 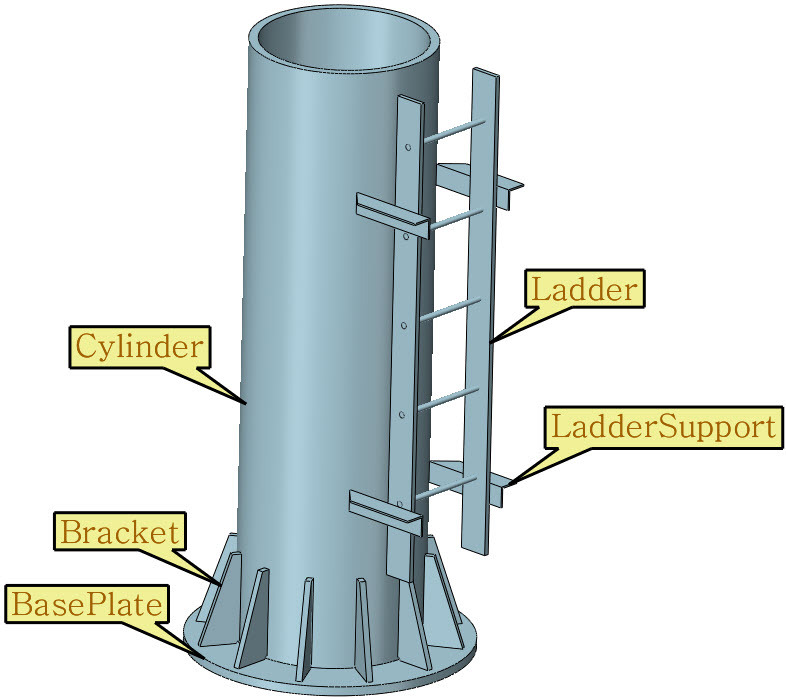 I'd like the ladder to be a sub-assembly, so skip the shapes that make the ladder. 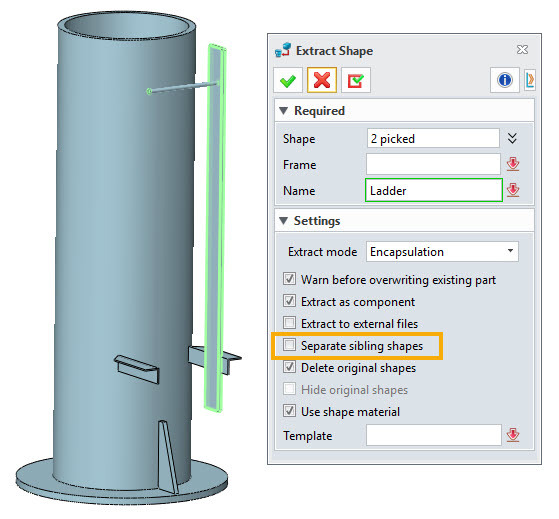 4) Extract the ladder components. 5) Extract all the other shapes. 8) Double click on the "Ladder" to edit it. Extract all the shapes after renaming them with 3D BOM. Then do assembly mirror/pattern. 9) Create 2D drawings if necessary. I'm looking forward to your ideas about constraints. How and why do you guys use constraints. What you are describing is a top-down design workflow where parts/components are designed in place or in their final location. There is really no need for assembly constraints. For those designs you anchor the components, just as you explained. 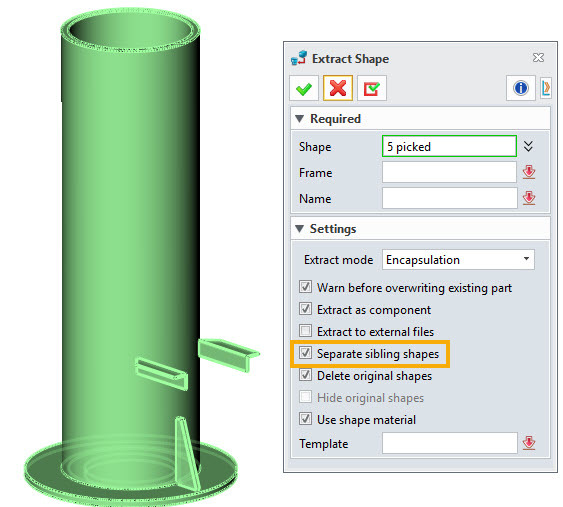 Constraints are more for separately designed parts that you add to an assembly. 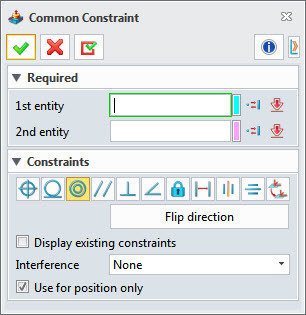 For those I do use constraints. I can accept a reasonable amount of constraints, but once the number goes up to 10+, it drives me crazy. So I always use the constraints "for position only" to keep my assembly tree clean. I agree, I only use constraints when I need to define motion. Otherwise I also use the for position only checkbox. 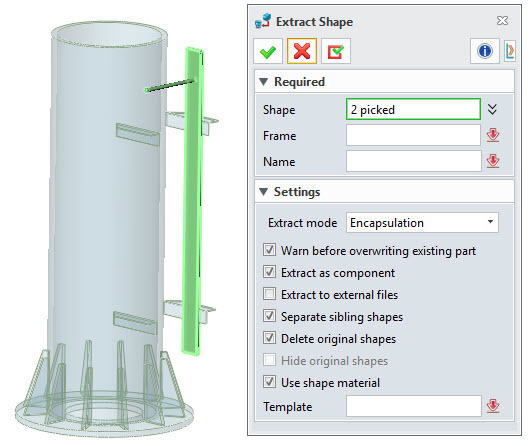 You will usually notice that the people that overuse constraints are the ones that use Solidworks or any other pro-e clones. People are more or less brainwashed into using them for no good reasons. 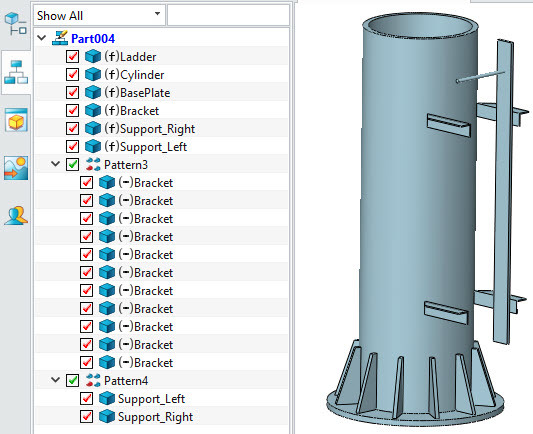 I use constraints to position and locate components in an assembly during design. AKA Topdown. Preference is to use the origin p[lanes since these are stable during the change phase. They are a pain to manage because Z3 tools for Alignment management are lacking refinement and smarts. There are several different dialogues - none of which are truly consistent with the others. IMO there is only need for one good constraint/alignment dialogue that cover creating/editing and managing. In addition we should expect the dialogue to allow for various multi constraint scenarios to be undertaken in one dialogue with live preview. We should also expect common constraint such a as concentric/planar - fasteners, shafts, bearings etc. should allow for a single location pick. The edge of a hole should offer the concentric to cyl. and planer with the adjacent face and the options of rotation lock or angle etc. It should also flag is a rotation on non critical and shows as allowed DOF in Constraint Inquire rather than partial constrained. 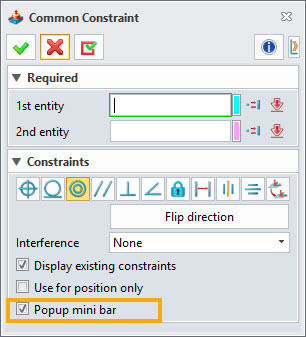 when in fact it is user acceptable constrained. Q: How do you do an exploded view of the shape in place example above? Constraint management will be improved in the near future, but not totally in one dialogue. I think the most urgent thing to do is to make the assembly stable enough to users - No corruption, no slow issues, no weird movement and good animation. 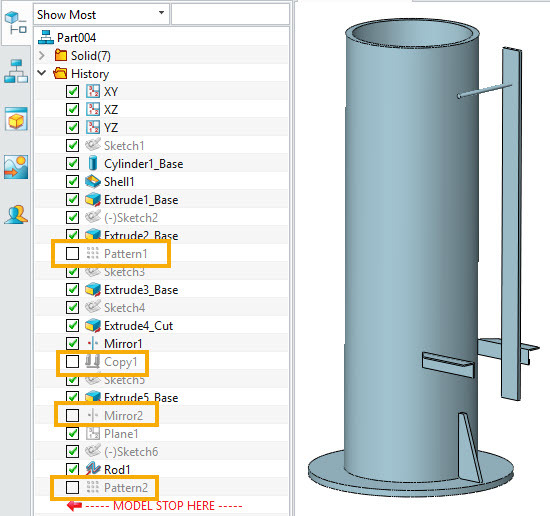 You can also expect a similar function like fastener constraint, in V2020.
" It should also flag is a rotation on non critical and shows as allowed DOF in Constraint Inquire rather than partial constrained. when in fact it is user acceptable constrained." I like this idea. Let me talk about this with the other guys. A: IMO, steel structures don't need to be exploded as much as mechanical things. Steel structure requires more on section views. I appreciate the stability demand. It is always there. But a dialogue is GUI not deep Code AND it is what the user has to deal with every day. Good user experience is king. Personally, GUI is much more irritating than stability at present. IMO an attempt at a single constraint dialogue would be a good start. It can be refined. Assemble the good parts from the exisitng dialogues into one larger more informative and powerful one. e.g. In some dialogue we can add consraint, in some we cannot. Some dialogue have detailed part indentification, some do not. We cannot Disable a constraint from Redefine! So we want add, delete, edit, disable with full component description in one dialogue accessisble for insert and edit/redefine. It would also be very good to switch of the pop up or at least stop it covering the base dialogue - so frustrating. the pop up can be switched off now. We also need to be able to toggle incoming part datum visibility from the same dialogue. e.g a Temporary on option. It would also be very good if in Edit Constraint we could actually flip and constraint! I think that qualifies as an edit??? If not, please educate me. Pop up killer - woopee. Thank you.